Courtesy of Coldwell Banker Res Brokerage, Margaret Dallao. Custom home was thoughtfully designed to max. functionality & comfort for a multi-generational family,w-pets,to coexist harmoniously.Enjoy your quiet,private space or join others in one of the many lrg liv areas,in or out.Pocket doors sep front entry from Open Concept Living for privacy & sound control.Unique tiled dog kennel w-handheld shower sprayer & drain to easily facilitate washing dogs & kennel.This could be converted to a wheel chair access shower if needed. Exterior faE7;ade of grand scale,hand hewn,Lueder2019;s limestone blocks,gives the feel of Old World charm combined w-modern casual interiors of gleaming,polished concrete flrs & a clean fresh palate,adaptable to any taste. 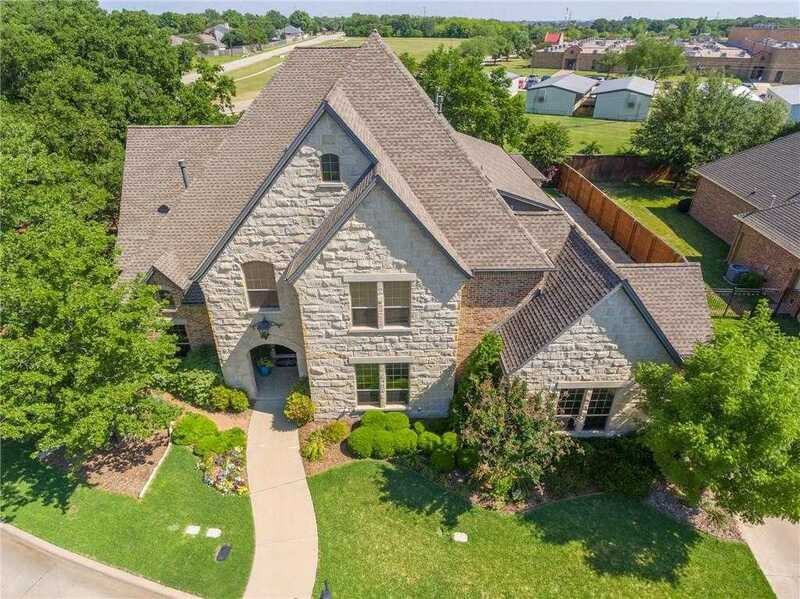 Please, send me more information on this property: MLS# 13985025 – $875,000 – 2607 Featherstone Court, Arlington, TX 76001.